Hannah has been managing the front office since 1997, and has been helping our patients with all of their questions around appointments, treatment plans, and insurance coverage. Hannah keeps everything running smoothly so that you, our patients, don't have to worry. If you have any questions for us, please contact Hannah by phone (415-664-4100), email (contact@jjcarlosdmd.com), or by using our online contact form. Gina has been assisting Dr Jay since 2005, bringing many years of previous experience. Mary Anne is our new face in the office, starting in 2013. 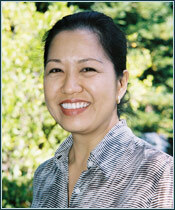 Rozanne has been with Dr Jay since the practice opened, and was with Dr Jang, the previous owner before that. She is loved by us and patients alike and although is now in semi-retirement, will always be part of our family.